Dir. Gary Marcuse. Canada/China. 2011. 78 min. Chinese with English subtitles. 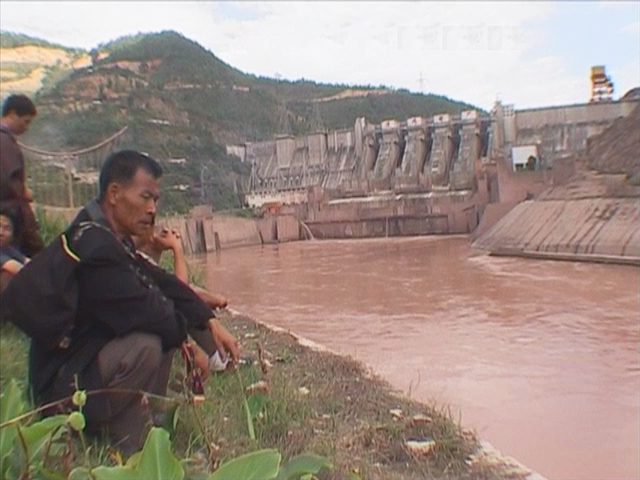 Seen through the eyes of activists, farmers, and journalists, Waking the Green Tiger follows an extraordinary grassroots campaign which successfully stopped a huge dam project on the upper Yangtze river in southwestern China. Featuring astonishing archival footage never seen outside China and interviews with a government insider and witnesses, the documentary also examines Chairman Mao’s campaigns to conquer nature in the name of progress. An environmental movement takes root when a new environmental law is passed and, for the first time in China’s history, ordinary citizens have the democratic right to speak out and take part in government decisions. Activists test their freedom to challenge a dam. The movement they trigger could transform China. Q&A featuring Shi Lihong, an environmental activist who contributed footage and is interviewed in this film. Moderated by Orville Schell, Arthur Ross Director, Center on U.S.-China Relations. From 2008 to 2011 photographer and filmmaker Wang Jiuliang documented over 460 landfills around Beijing, culminating in the award-winning film Beijing Besieged by Waste (2011) and prompting the Beijing municipal government to invest 10 billion RMB to regulate the waste disposal industry. Wang’s new work continues to look at waste in China, but this time his upcoming film, Plastic China, uncovers the human and environmental costs of imported plastic waste in China. Director Wang Jiuliang will screen highlights from the forthcoming Plastic China and discuss his experience documenting the handling of domestic and imported waste. Q&A moderated byLa Frances Hui, Film Curator, Asia Society. Dir. Zhao Liang. China. 2009. 30 min. Chinese with English subtitles. Dir. Lanzhe. China. 2010. 50 min. Tibetan with English subtitles. 50 min. Desertification has been threatening livelihood in many parts of China. In Minqin, Gansu province, an aging farmer and his wife are the only inhabitants left in this small village that is increasingly swallowed by the advancing desert. Growing up fishing in a local lake that has since dried up, the farmer now has to drive to another village for water. While the government encourages families to move to Xinjiang with the offer of a subsidy, the old couple stays put — at least for now — to defend their home. For nomadic families on the Tibetan Plateau, yak dung is a renewable and readily available energy source for staying warm, making sacrifices and providing light. Yak dung is also used to build homes and fences, fertilize grass, and as a medicinal ingredient, detergent, and material for sculptures. It is an indispensable part of the Tibetan culture and livelihood. Living with yak dung is part of a lifestyle that has coexisted with nature for centuries. But more and more people on the plateau are drifting away from this way of life. 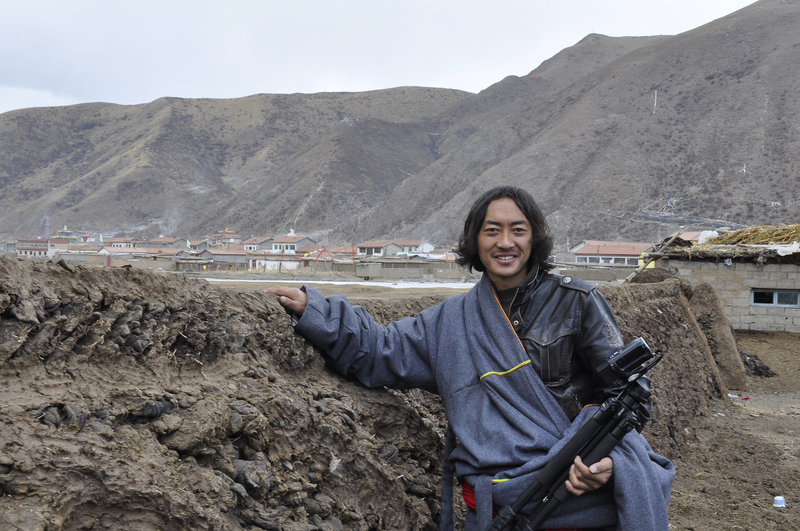 Having never before made a film, Director Lanzhe attended film training workshops organized by the Shanshui Conservation Center, a Beijing-based environmental NGO that works in Qinghai, Sichuan, Yunnan, and Shaanxi provinces in western China. Its program “Eyes of the Village Nature and Culture” trains and empowers amateurs to make films to document lives in their own habitats. Many of these trainees, such as Lanzhe, were picking up a camera for the first time in their life. Q&A to follow with Sun Shan, former Director of the Shanshui Conservation Center. Moderated by Michael Zhao, Multimedia Producer, Center on U.S.-China Relations, Asia Society. This entry was posted on Thursday, August 14th, 2014 at 10:34 am	and is filed under Chinese Cinema Events. You can follow any responses to this entry through the RSS 2.0 feed. You can skip to the end and leave a response. Pinging is currently not allowed.